noodles! ^^. . Wallpaper and background images in the Kang Min Hyuk club tagged: kang min hyuk kang min hyuk cute yeo joon hee joon hee cn blue. 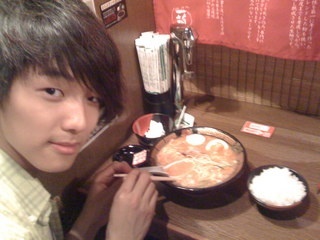 This Kang Min Hyuk photo might contain পুডিংবিশেষ, ছুটির দিন ডিনার, and antipasto.